On October 27th, 2018 the 9th annual Cossack Congress in America was hosted in the All Cossack Stanitsa of Vineland. The Congress began with a prayer at noon and the formal welcoming of all representatives, after which the leadership presented its completed work for approval. The Congress had debated the goals and missions for the upcoming year and has reelected the current leadership for a 6th consecutive term. The congress decided to continue it's work to improve the education of Cossacks and to preserve Cossack culture, history and tradition in the Americas. During the Russia revolution, Cossacks were one of the major ethnicity that composed the white movement to fight against the Bolsheviks. However, when the Cossacks were faced with decossackization, many were forced to leave, and those who were left behind suffered terribly from continued repression. That is why during World War II, many Cossacks saw an opportunity to free their homelands from the occupation of the Bolsheviks, and joined sides with Nazi Germany. As unfortunate their fate, at the time the Cossacks believed they were doing what was best for their homeland. On October 21st, 2017 the 8th annual Cossack Congress in America concluded in the All Cossack Stanitsa of Vineland, New Jersey. The Congress began with the welcoming of delegates from member organizations in the church hall of the Holy Virgin Protection Skete. The Congress had reviewed and approved the work completed by the current leadership of the Congress. The congress decided to continue it's work to improve the education of Cossacks and to preserve Cossack culture, history and tradition in the Americas. The Kuban Cossack Voisko abroad celebrated The Protection of Our Most Holy Lady the Theotokos and Ever-Virgin Mary Feast Day on October 15th, 2017 at Saint George Orthodox Church. The faithful gathered at the church for Divine Liturgy at 9:30 AM. After Divine liturgy the Cossacks and guests gathered at the Kuban Cossack hall for a celebratory lunch. The Kuban Cossack museum was open to all guests for viewing. The Cossacks celebrated with festive Cossack singing, and a demonstration of Cossack traditions. Members of the All Cossack Stanitsa Nikolskaya had attended the celebration. The Cossacks of Stanitsa Nikolskaya gathered on October 14th, 2017 at Saint Nicholas orthodox Church to celebrate the feast day of The Protection of Our Most Holy Lady the Theotokos and Ever-Virgin Mary. Divine liturgy began at 9:00 AM led by Rector of Saint Nicholas Orthodox Church Very Reverend Father Alexey Bocharnikov. During sermon Father Alexey Bocharnikov reminded the faithful of the story how the Cossacks in 1641 defeated the Turkish armies at the Azov Fortress while being severely outnumber. 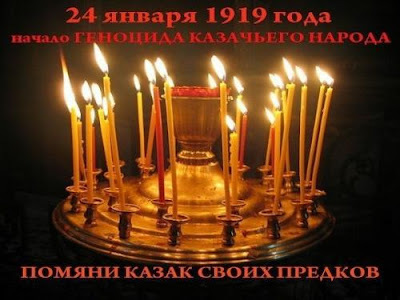 The Cossacks consider the feast day of The Protection of Our Most Holy Lady Theotokos and Ever-Virgin Mary as a national holiday in all Cossack regions. This celebration has its origins dating back to 1641 when the Don and Zaporozhian Cossacks defended the fortress of Azov while being vastly outnumbered by the Turkish armies. The Cossacks, having accepted the high chance of death, prayed to Lady Theotokos and Ever-Virgin Mary the night before the battle.